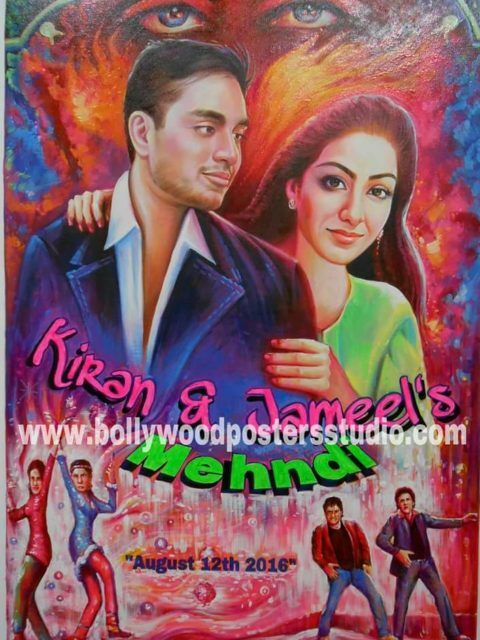 If you are looking for customized Indian Bollywood posters contact us on mobile no. 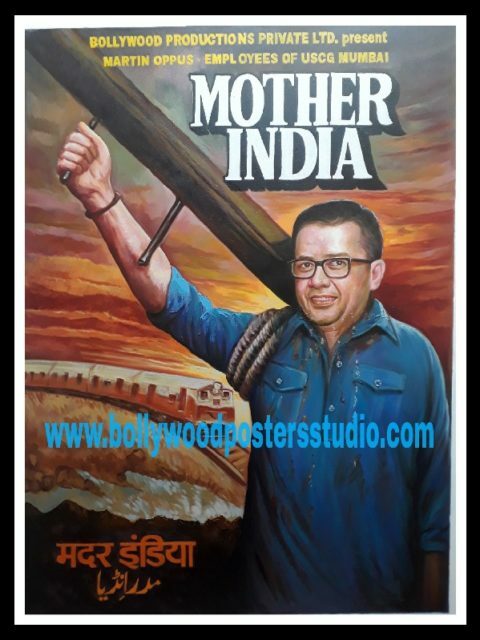 +919022034923/ +917666866256 or MAIL US ON: bollywoodpostersstudio@gmail.com Bollywood posters studio gives you a wide range of hand made products genuinely crafted , by old movie billboard and hoarding artist. 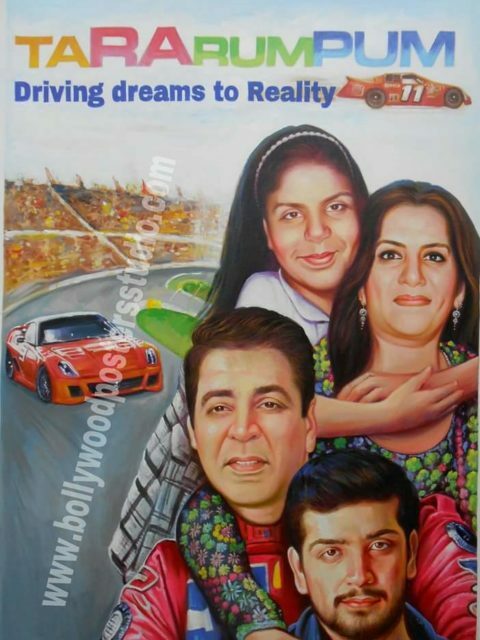 These Bollywood artist are extremely experienced in their field to deliver the best artwork to their clients. 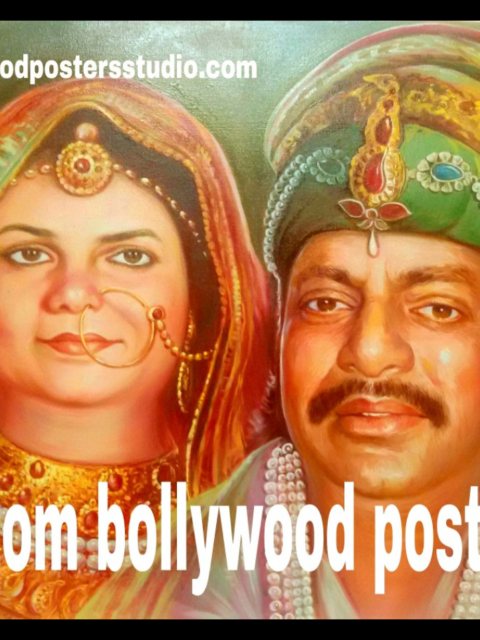 Why we choose the old Bollywood movie artist rather than ordinary artist to make your hand painted Bollywood products – The answer is because they had gone through that period , they know what colours, effects, emotions has to be seen while making Bollywood posters. 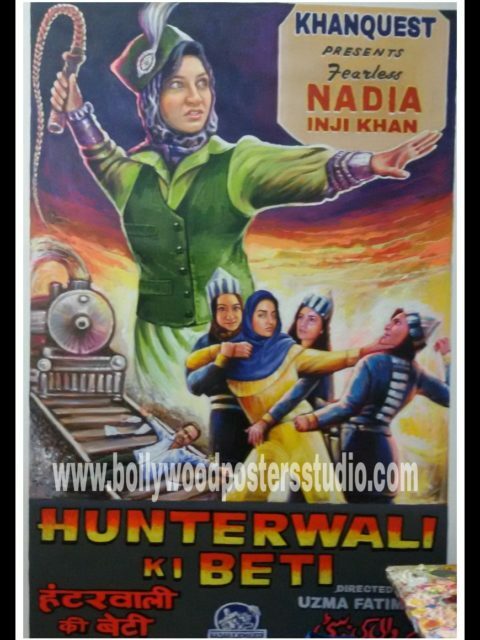 These artist had made 1000's of hand drawn retro , vintage, and classic movie poster. 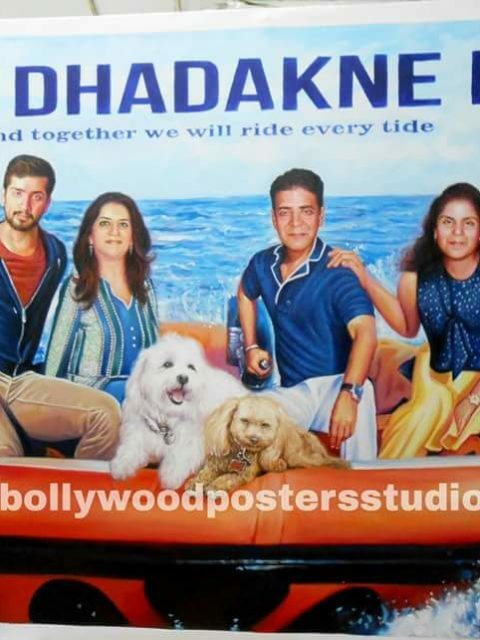 They know what to use and where to use? 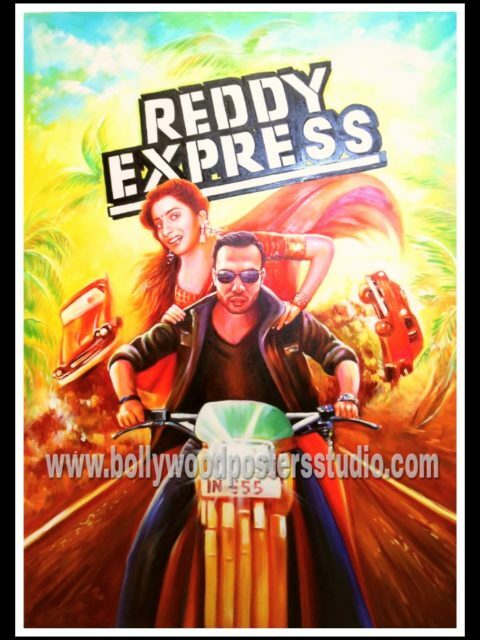 Hand painted art is modified for the people in Bollywood avatar !!! 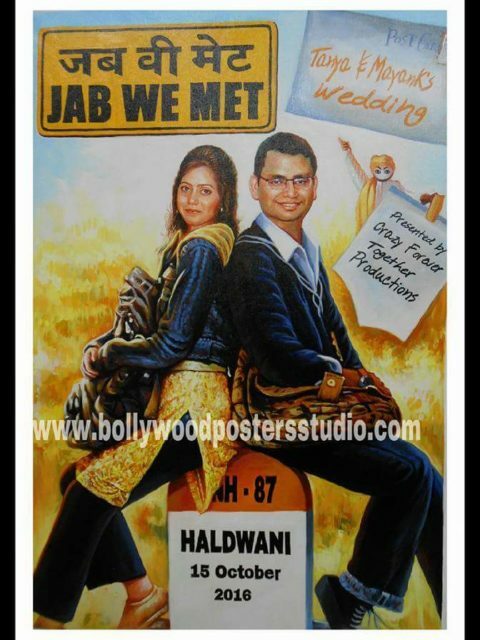 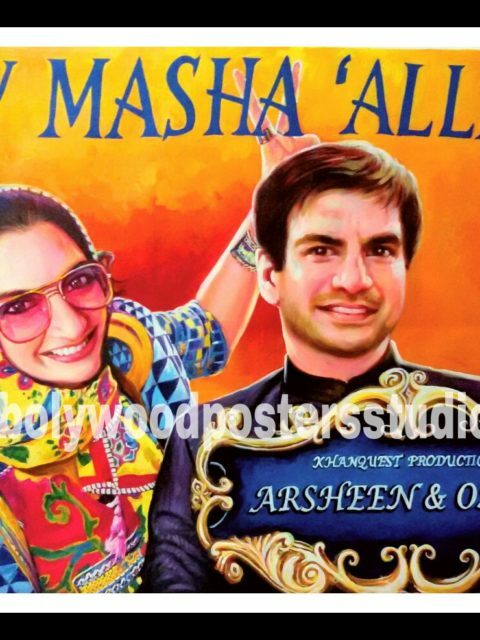 Get your customized wedding card in Indian filmy style. 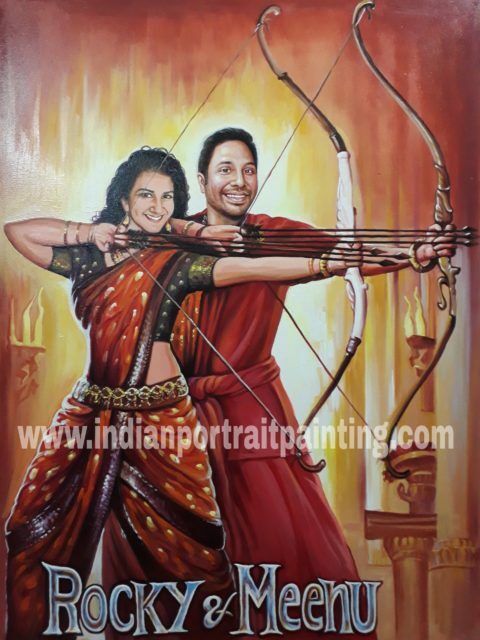 Attract your visitors and relative by this outstanding hand painted art work. 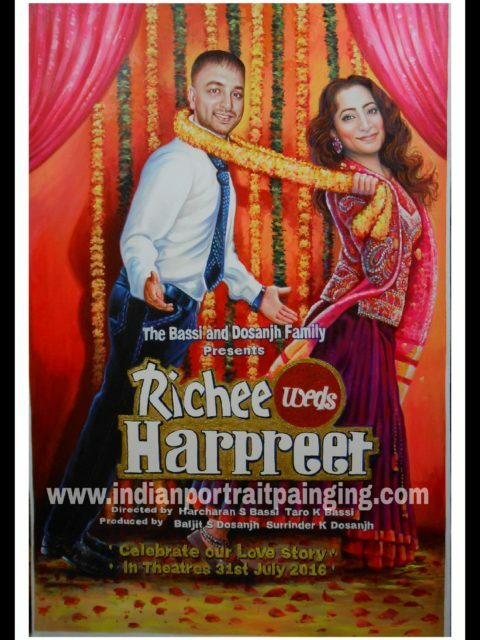 It can be a the perfect marriage backdrop or cutouts at the wedding hall. 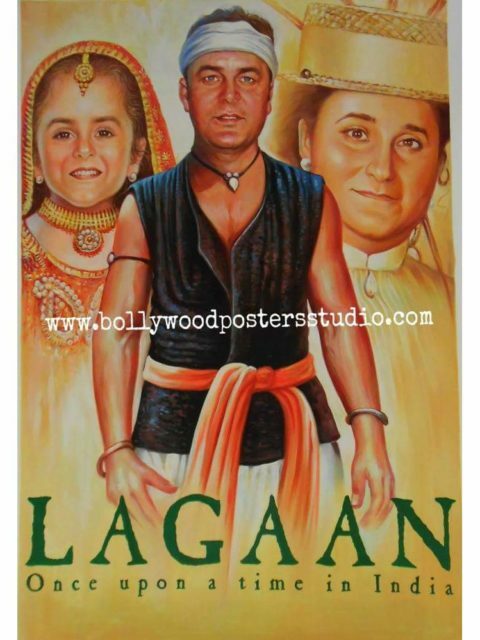 It can be a truly unique gift for the Bollywood fan. 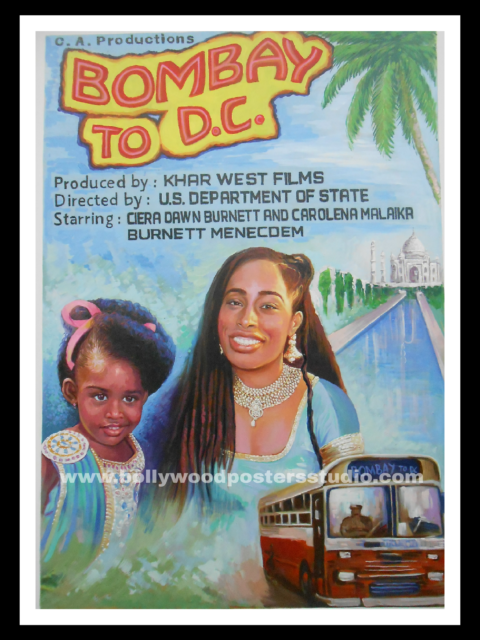 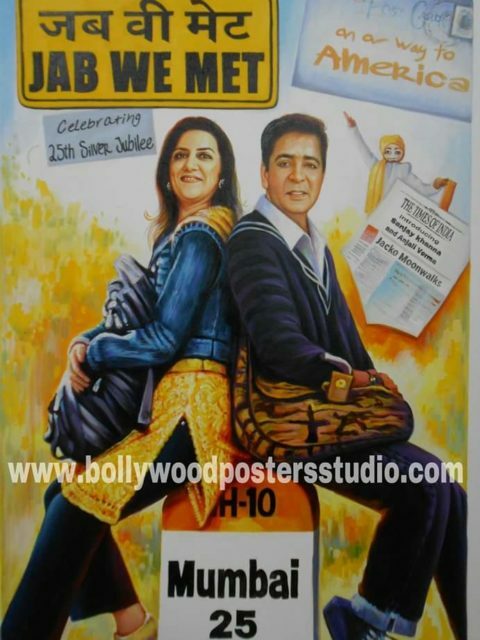 Our hand drawn Indian film poster artists especially design for you on canvas they are tremendously qualified in their work. 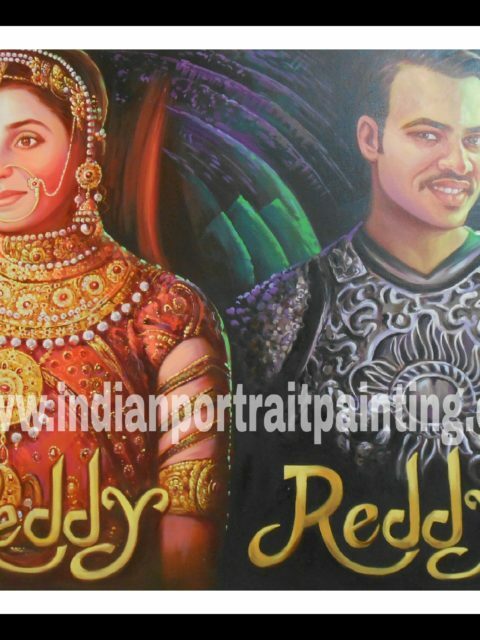 These hand drawn artist attracted many clients with their work not only in India but also in abroad countries. 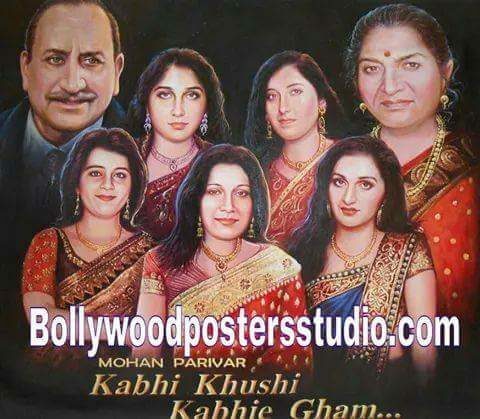 They are undoubtedly paid for their work . 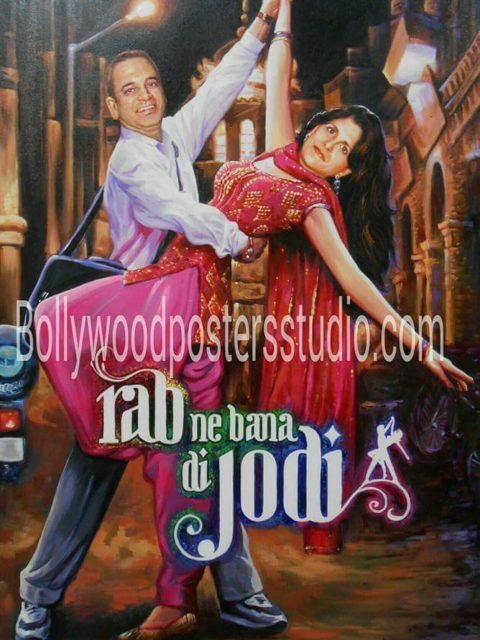 Transform your photo into Bollywood poster and make your debut in your favourite movie starring your loved ones. 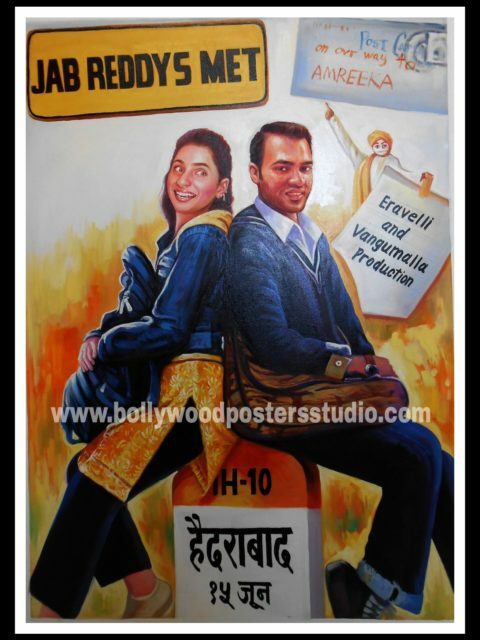 Select your own title for a movie, make your fully customizable poster and make your movie stunningly hit. 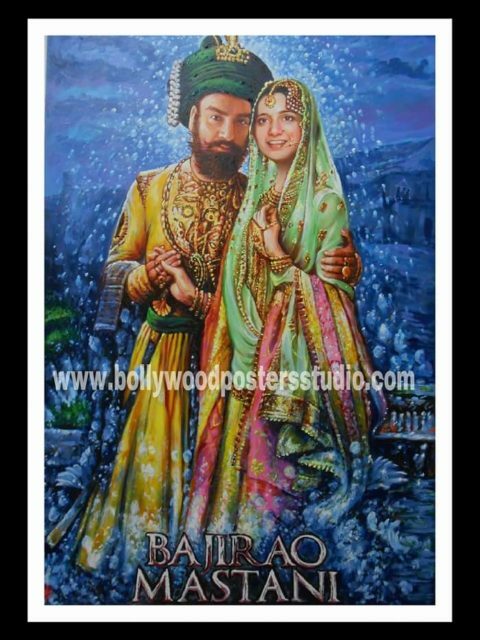 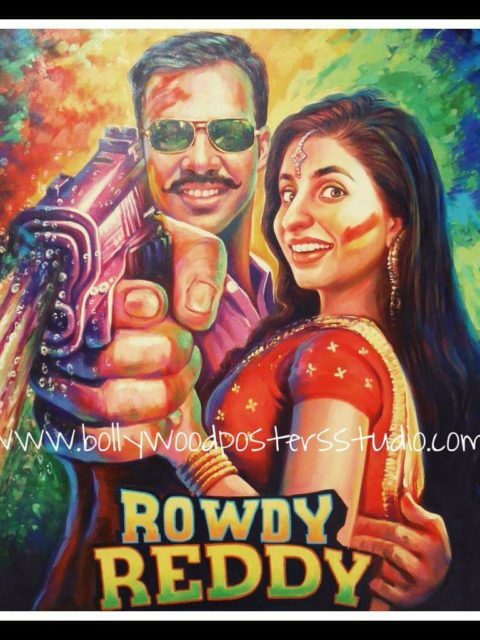 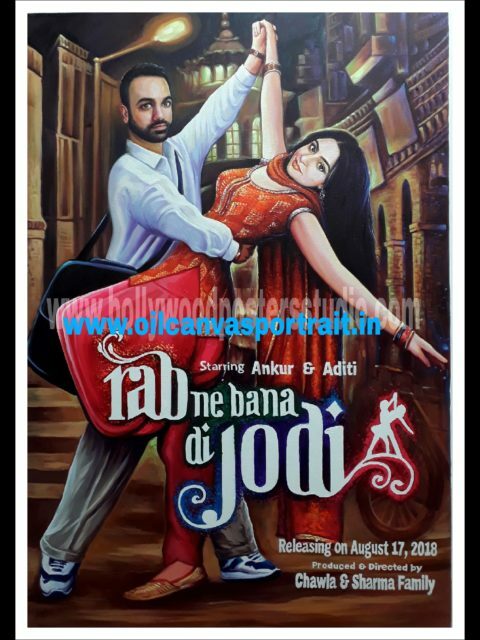 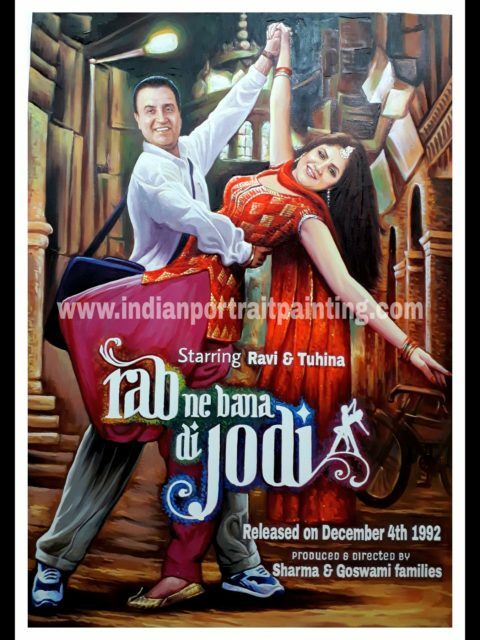 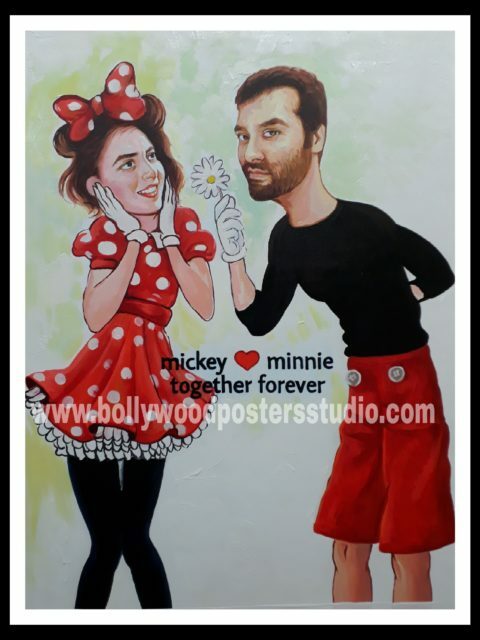 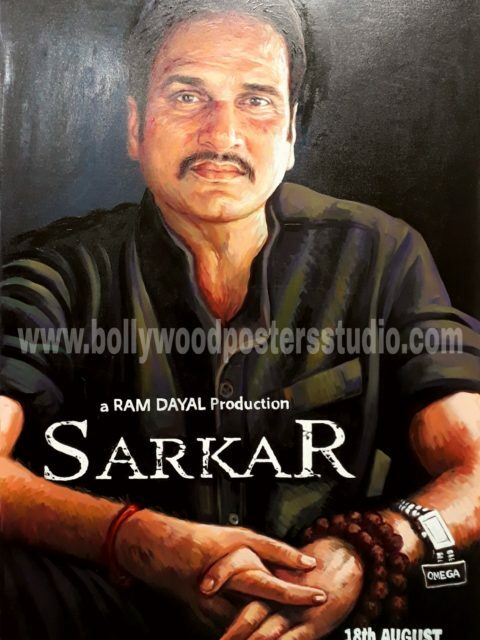 Hand painted art is reproduce in a new art form where Bollywood film posters are converted into customized hand painted Bollywood film poster for our ardent love Bollywood fan. 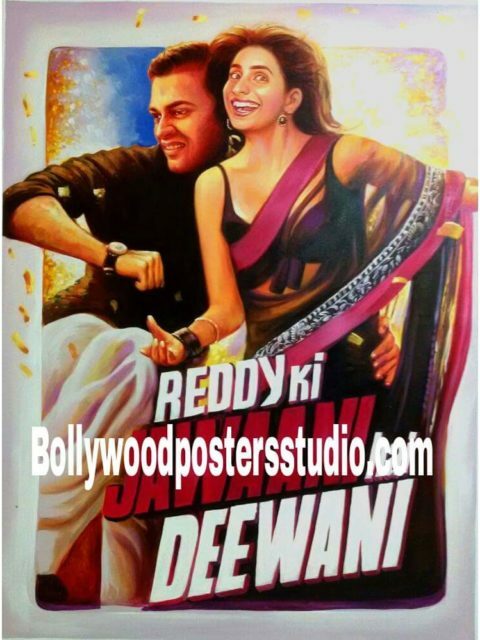 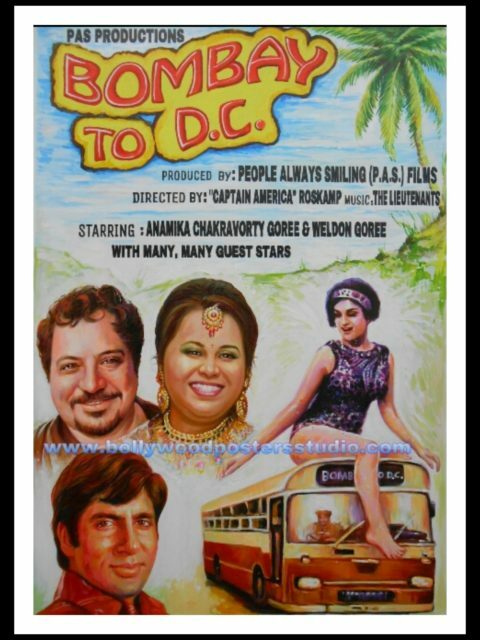 Our artist specialized in making customized Bollywood film poster with variant effects on demand of our customer. 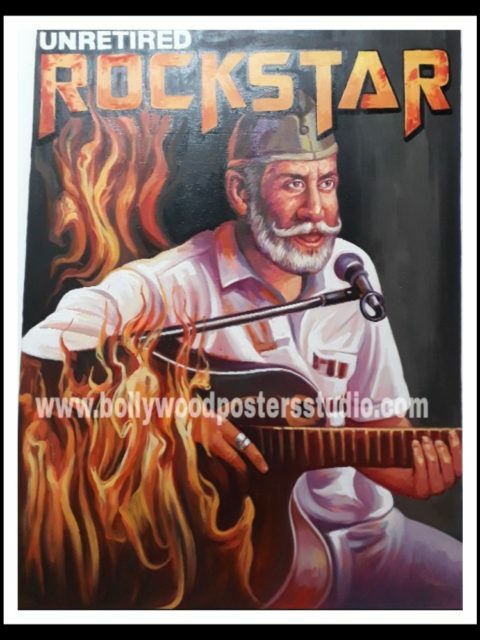 Our hand painted Bollywood film poster artist Mumbai, India can give you different look like portrait style, true filmy Bollywood style, retro style, vintage or classic style, traditional style, and epic or historic drama. 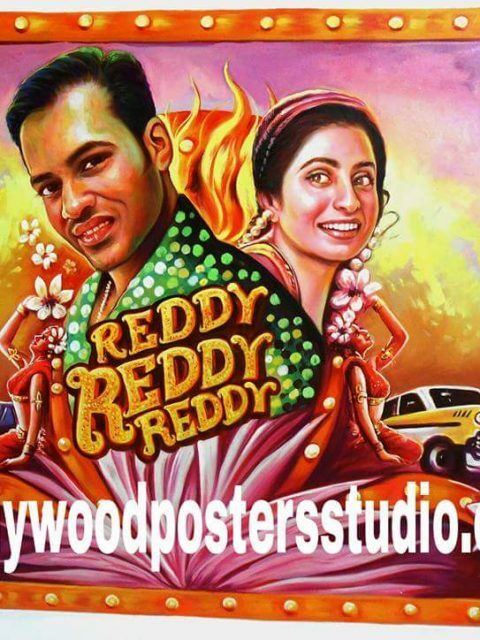 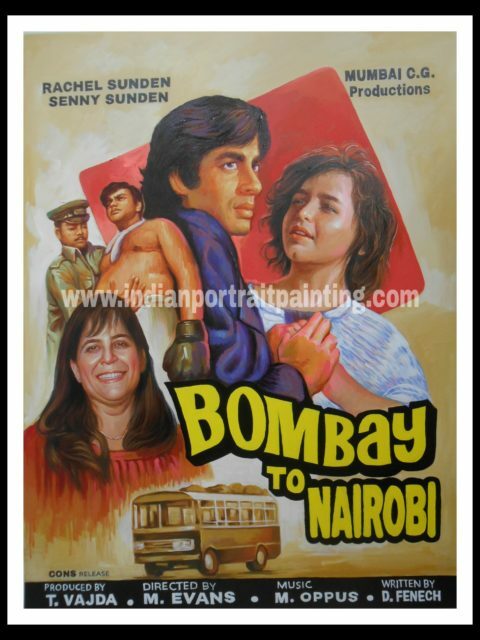 Bollywood posters studio Mumbai, India has marked that old hand drawn Bollywood poster visually attract clients because the colour has been used are vibrant and most important our hand drawn Bollywood poster artist. 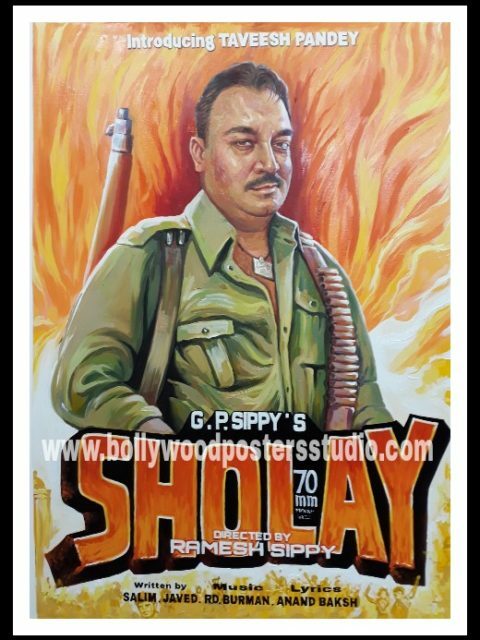 Mr. Aalam Choudhary poster artist and designer and the founder of Bollywood poster studio really knows how to define characters on the poster. 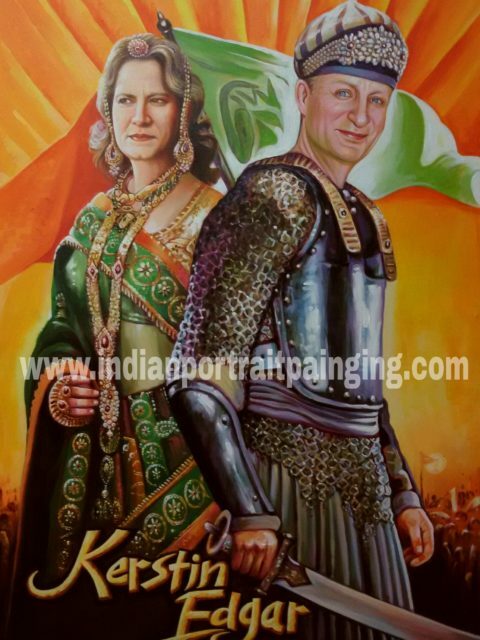 ” He says different colours use to define specific characters and it is an important part of the painting “. 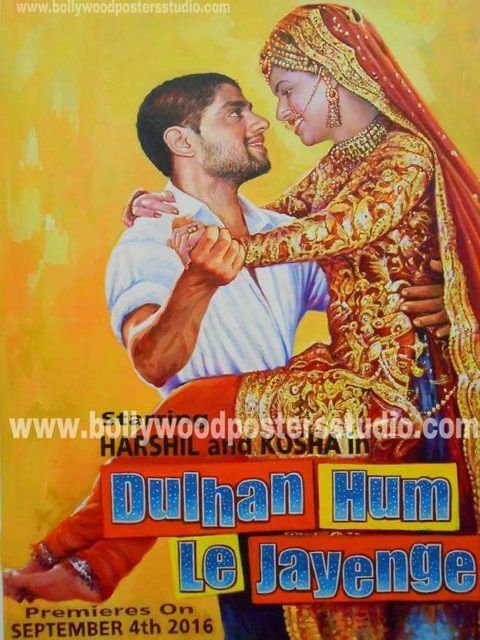 And the most colours used is red, green, blue, orange, yellow, and pink. 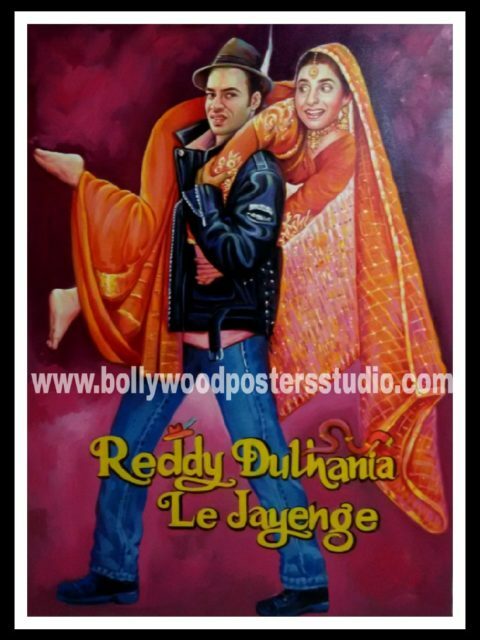 Bollywood posters studio produces all kinds of products for our valuable customers like Bollywood wedding theme invitation cards and backdrops, customize leather bags and leather jackets, customize mobile phone cover and also cover page of diary and magazine at very very reasonable rates.